Recently, I had reasons to do some research on the ubiquitous Pizza. I was amazed to find how ancient the concept of pizza is!! The common history of the birth of the pizza, as a popular dish, is a romantic story of how a poor man's meal became the comfort food of the high and mighty and the prosperous and has since become a truly democratic dish! What I also discovered in my scouring was that the term "pizza" has been prevalent as early as 997 A.D but wasn't even given the status of being an edible dish until much later. It was initially a baker's tool used to verify oven temperature!! But, once the concept of the pizza as a bread base topped with sauce, took off, it spread far and wide across many many cultures. The breadth and reach of the far flung Roman and the Ottoman empires must surely have aided the pizza's adoption into people's homes and hearts. 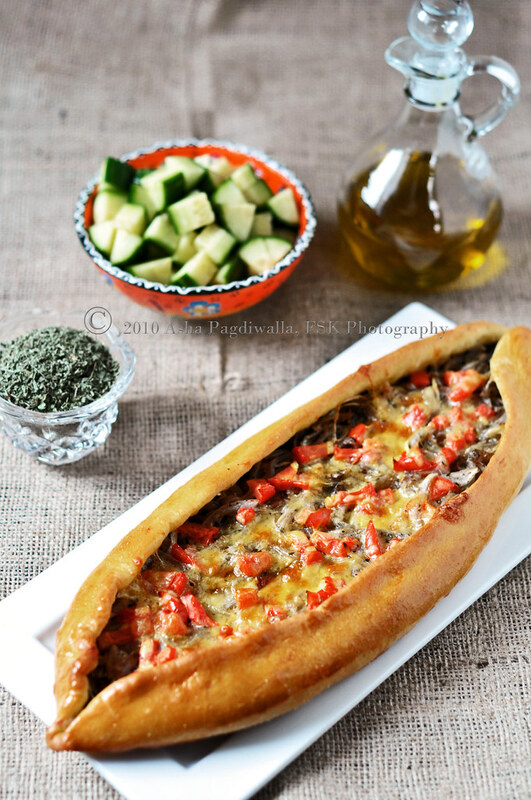 I can wax eloquent for very long on the subject but what I am trying to say here is that borrowing a leaf from that cuisine, today, I present you the Turkish pizza called Pide. The boat shaped beauty just stopped me in my browsing tracks. It's elegance belied the humble origins of the pizza.The deep earthy tones of the base, the golden brown hues that look a lot like that of bread and the simplicity of it's toppings spoke to me and I instantly bookmarked it. 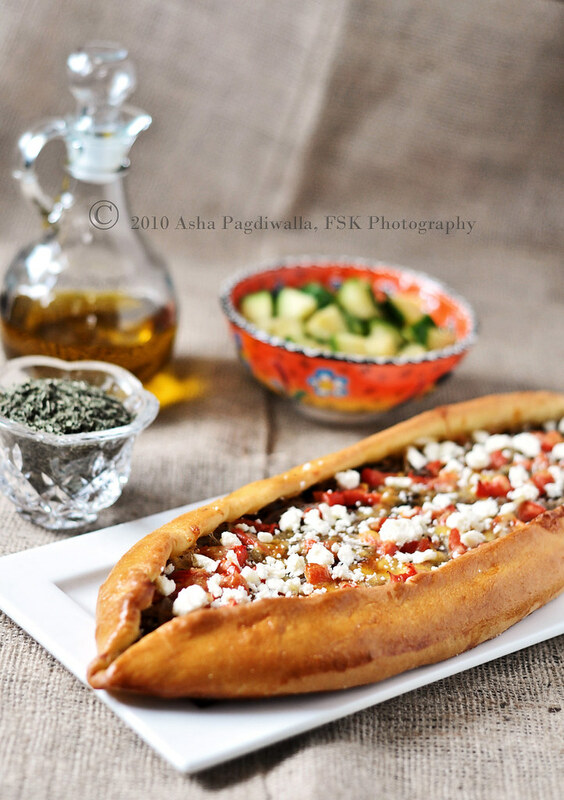 Pide with Na'Na (mint) caramelised Onions and Olive Tapenade. Every meal in our house ends on a sweet note. 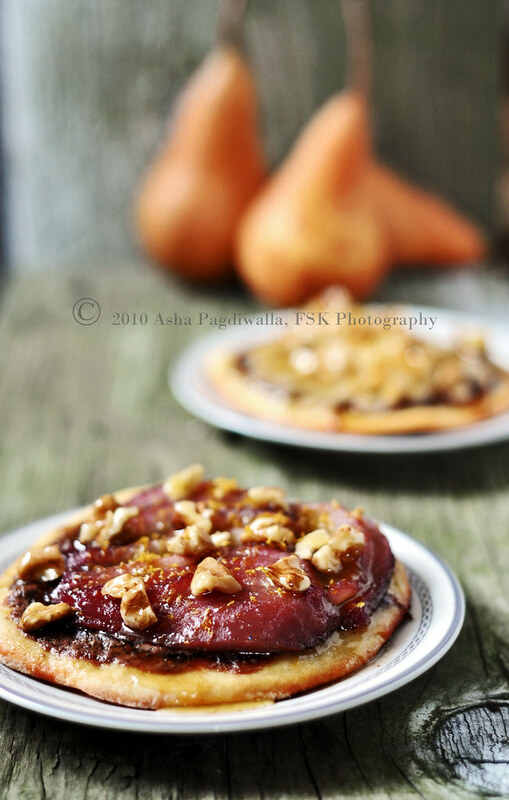 Extending the pizza theme of the meal, I made individual pies with chocolate sauce topped with poached pears, orange candied walnuts all brushed with a sweet glaze of orange syrup. contest. Voting is now open until Oct 21 6pm. I do hope you like this post enough to honor me with your vote here. Thank you much! Sprinkle the yeast in the warm milk with the sugar and set aside for 5-7 mins until it becomes cloudy and starts to foam. Add salt, egg and oil and mix well. Add the flour and mix to form a dough. Knead the dough gently to make a soft, tacky dough that is not sticky. Coat the bowl and the dough ball in oil, cover with a kitchen towel and let sit for about an hour or until the dough has doubled in size. Divide the dough into 3 portions. Use two to make the pides and divide the third into two to make the individual desserts or one large sweet pizza. Meanwhile, over slow heat saute the onions with garlic, brown sugar, dried mint and all spice until caramelised, about 35 minutes. Set aside. Grind the olives along with the oil into a smooth paste. 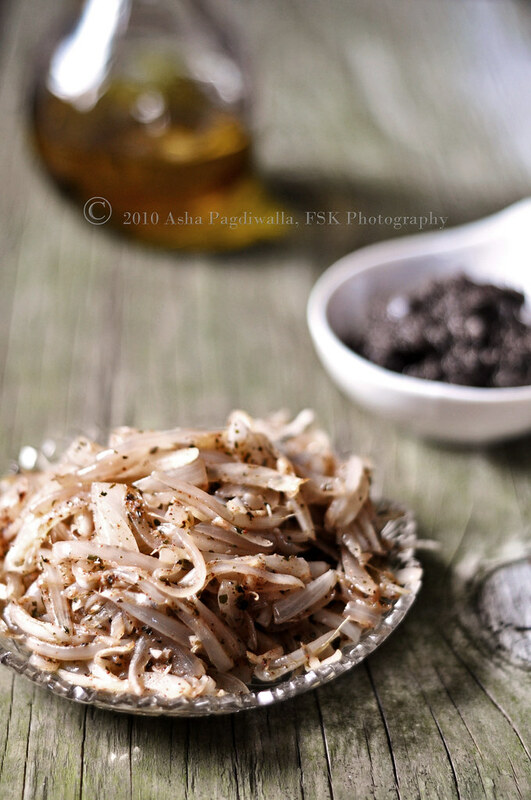 Mix in about a teaspoon of fresh olive oil. Preheat the oven to 400F. Keep the dough not in use covered. Ball each portion into an egg shape. Using your hands stretch the dough into a rough oval. Now, roll out the dough into a larger oval of 1/4 inch thickness. 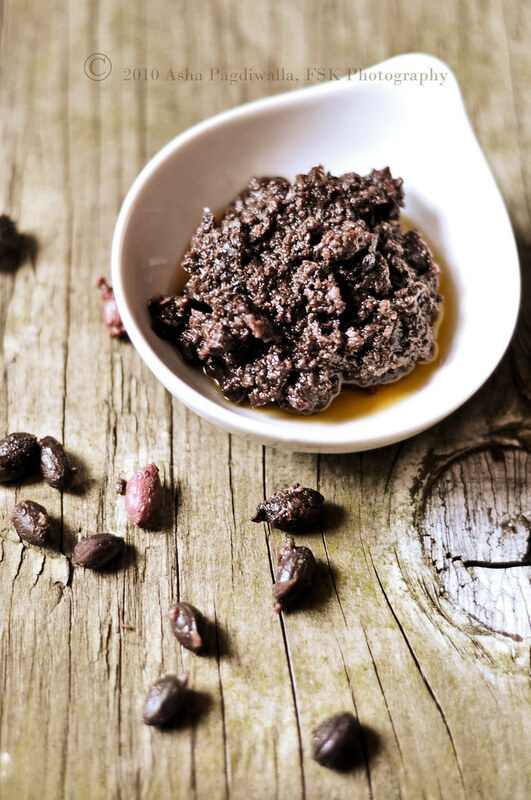 Spread the olive tapenade over the base leaving a 1/2 inch border. Top with half the onion mixture and sprinkle half of the diced tomatoes and cheese. Fold over the edges of the dough over the topping, making a pointy end on both ends to form the boat shape. Brush the edges with egg wash and divide any remaining egg over the pides. Bake for about 20-25 minutes until the bread is browned. Remove, slice horizontally and serve topped with crumbled feta.